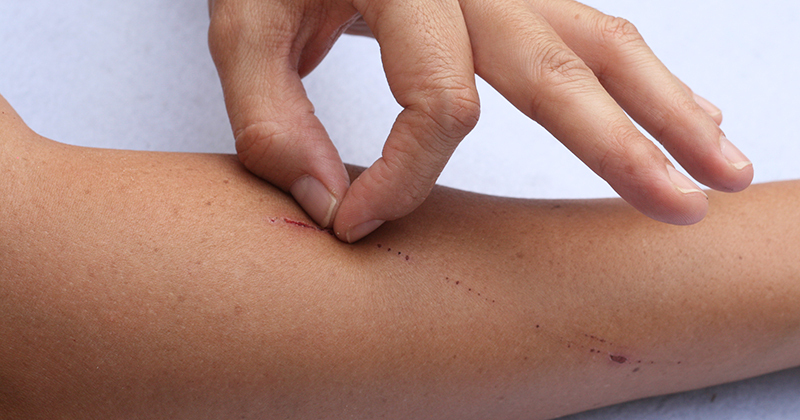 We’ve all done it…picking a scab before it’s healed, however, the consequences of picking too early can be visible for a couple of weeks and in some cases a scar can form to remind us. You see, healing from anything – physically, mentally or emotionally depends on whether we give the body what it needs to heal. This is derived largely from the quality and balance of foods in our diet, our ability to manage stress and obtaining an adequate amount of quality sleep. We are literally what we eat; the food we eat gets broken down to be manufactured into everything that makes us us – lungs, brain, skin, muscles – everything. This can be demonstrated by comparing the structure of a free-range organic chicken with a battery-raised chicken. When carving the organic chicken, the ligaments and tendons are strong and taught and almost impossible to break – compare this to a flaccid battery chicken that falls apart with little or no effort! Your body is not a fixed structure; it’s a living ecosystem continuously rebuilding itself. For example, skin cells are replaced every 40 days, the liver 400 days, the digestive tract renews after 21 days and we upgrade a new skeleton every 8 years! A poor diet, too much stress, alcohol consumption and ‘stinking thinking’ is akin to picking a scab – your body does its best to heal but it never fully recovers and thrives. It’s common for clients to have ‘picked the scab’ for far too long, often resulting in the need for a more therapeutic approach. To nurture the healing process, we sometimes recommend specific diets and assessment, but the good news is it’s never too late to start! Tip: Try recording your diet, sleep, movement, digestion and energy levels for seven days. This should bring more awareness to your daily choices and you may start to connect your choices around food and drink with your sleep quality and digestion.